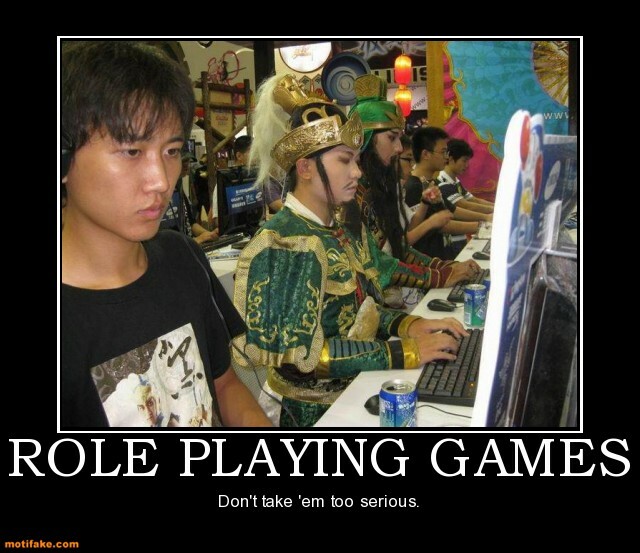 Role-playing on Twitter may be an effective tool with which individuals may seek online support. Play, in general, is not only a method for escaping the difficulties and mundane activities of every day life, it is also a way for us to understand ourselves, our place in the world, and our relations to others (Chayko, 2008). Role-play, more specifically, has been used for education (Riddle, 2008), the processing and resolution of conflict (Houston, Magill, McCollum, & Spratt, 2001), and as a way to hone interpersonal skills in both virtual and face-to-face communities (Jung, 2007). Twitter, specifically, facilitates disinhibition in virtual connectivity (Joinson, 2007), intimacy via written text (Tanis, 2007), specifically targeted audiences (Marwick & boyd, 2010), and connect to communities based on common interests (Zappavigna, 2011). One example of role-playing on Twitter is the individuals brought together by their interest in League of Legends (LoL), a massively online battle arena (MOBA), who have created Twitter accounts posing as characters from the game. Those characters, bound in some way by the lore already created by game developers, interact in a way which allows LoL to become immersive. These characters already belong to communities, based on their lore, however the community of role-players also begin to develop “meta” rules (e.g., social norms) for what is acceptable behavior when acting as a character. For instance, when speaking out of character the role-player must use “//” before the text. Role-players use text to indicate physical movement as well. This is consistent with Tanis’s (2007) note that individuals change writing forms and word usage to indicate non-verbal cues when having text based conversations in which non-verbal cues are necessary. When becoming a part of this community, role-players who have been in the community longer, use the direct message function of Twitter to explain abbreviations, meta rules, and work out characters’ story lines (or TL’s). This sharing of information is also consistent with Parks (2011) assertion that communities inherently have a form of information sharing. Additionally, this community allows for strong bonds between players, allowing for informational and emotional support (Tanis, 2007). Role-playing in online communities, such as the ones found on Twitter, allow us to learn to develop identities (whether our own, or role-played), adhere to social norms and meta rules for communities, become immersed or facilitated the immersion of others into a transmedia story, and provide or find support using online connectivity. Houston, S., Magill, T., McCollum, M., & Spratt, T. (2001). Developing creative solutions to the problems of children and their families: Communicative reason and the use of forum theatre. Child and Family Social Work, 6, 285-293. Joinson, A. (2007). Disinhibition and the internet. In J. Gackenbach (Ed. ), Psychology and the Internet: Intrapersonal, Interpersonal, and Transpersonal Implications, (pp. 75-92). New York, NY: Elsevier. Jung, Y. (2007). Role enactment in interactive media: A role-play perspective. Dissertation Abstracts International Section A: Humanities and Social Sciences, , 4124-4124. Retrieved from http://search.proquest.com/docview/621722683?accountid=10868. (621722683; 2008-99070-189). Parks, M. (2011). Social network sites as virtual communities. In Z. Papacharissi (Ed. ), A Networked Self: Identity, Community, and Culture on Social Network Sites, (pp. 105-123). New York, NY: Routledge. Tanis, M. (2009). Online social support groups. In A. Joinson, K. McKenna, T. Postmes & U. Reips (Eds), The Oxford Handbook of Internet Psychology, (pp. 139-163). New York, NY: Oxford University Press.